Upgrade your lighting by ordering Xtreme Duty™ Metal Halide 400W M59 4000K lamps from MEBULBS. The ultra-efficient high-intensity discharge metal halide lamps are better at converting electric power into light than the leading brand of bulbs. That means you'll enjoy a noticeable energy savings while still getting the abundance of light that your application demands. 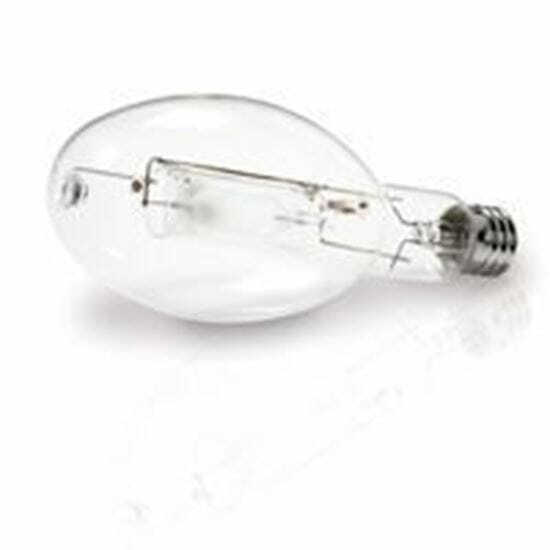 Metal halide lamps are commonly used in commercial settings and require a minimum starting temperature of -20 degrees Fahrenheit. Xtreme Duty™ Metal Halide 400W M59 4000K lamps are built using high-quality materials and precision placement. The lamps feature a universal burning position for better consistency and light quality. They have a clear exterior that won't dilute the light and a mogul base with an enclosed fixture rating. Lamps are backed by a four-year warranty for peace of mind. Please note that the fixture's wattage and shape must match the lamp in order for it to work.